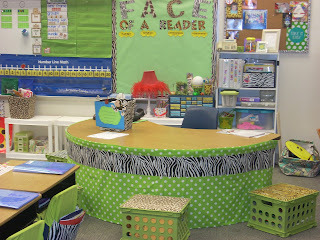 My guided reading station...aka...the reading hub...aka....Mrs. Mabe's grand central station! 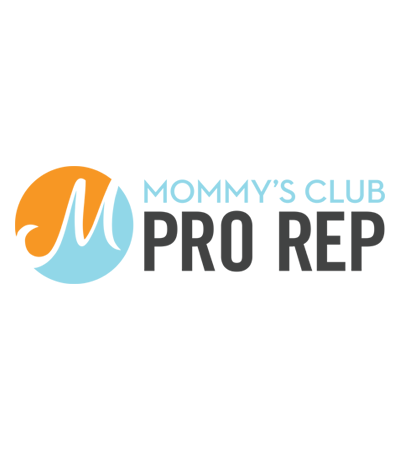 My mom is uh-mazing! 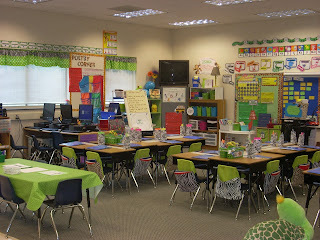 She made table skirts for our first grade team (my curtains match too..love it). 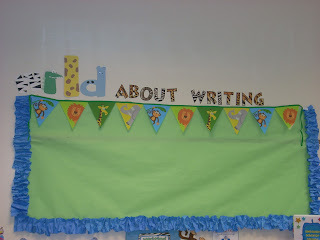 My back bulletin board that will be home to my firsties' writing very soon! 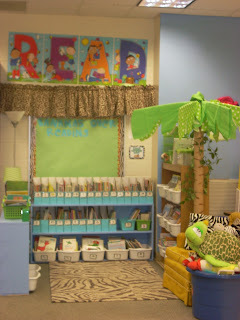 Okay, so kindergarten at my school all has a specific jungle animal theme. 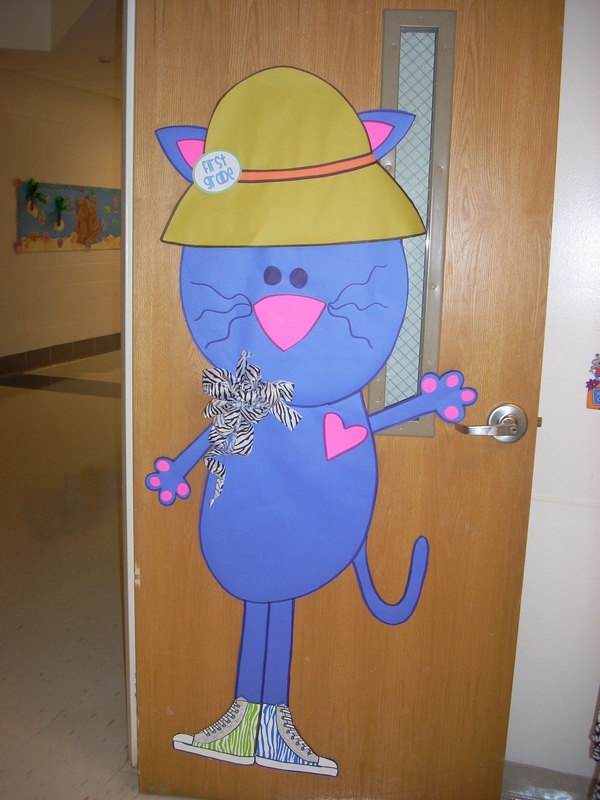 Since k/1 share a hall, I didn't want to have a jungle animal on my door and I was stumped as to what to put on my door. Then I ran across this absolutely adorable, perfect idea for my room (from first grade fever's blog...check it out here) that combined two of my favorite things....animal print & Pete the Cat! Pete may have to stay up for a while and just get decorated for fall because I love him so much! My writing table at the back of the room...missing two caddies on the Ikea hanging bar thing. Ikea has great stuff & so cheap! Hanging on the pocket chart are a few of my writing topics from my writing task cards. 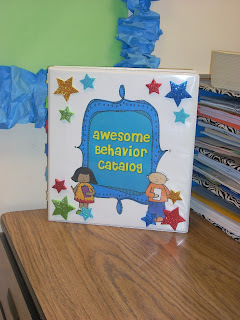 We went over our behavior catalog today and all the rewards they could choose from. The room was buzzing with which prize they would be 'shopping' for first! 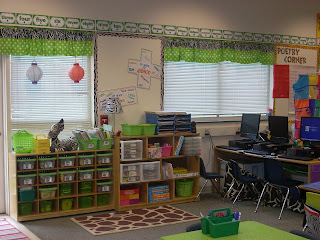 Computer area & math shelves. The space between my windows will be home to math vocabulary words as we learn them. Another view from the back of the room. Again, I have an awesome mom...love my chair pockets she made! 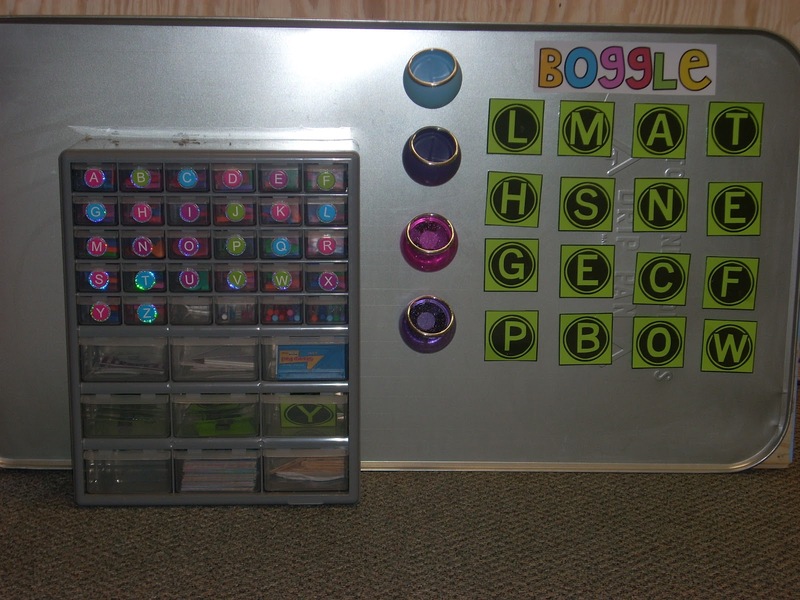 My BOGGLE board on an oil-drip pan on the back of my bookshelf. The organizer has magnetic letters in it that will be used as a literacy station in the weeks to come. Alright, my mom sews & my wonderful hubby is handy with a saw & drill. He made these shelves for my classroom library. 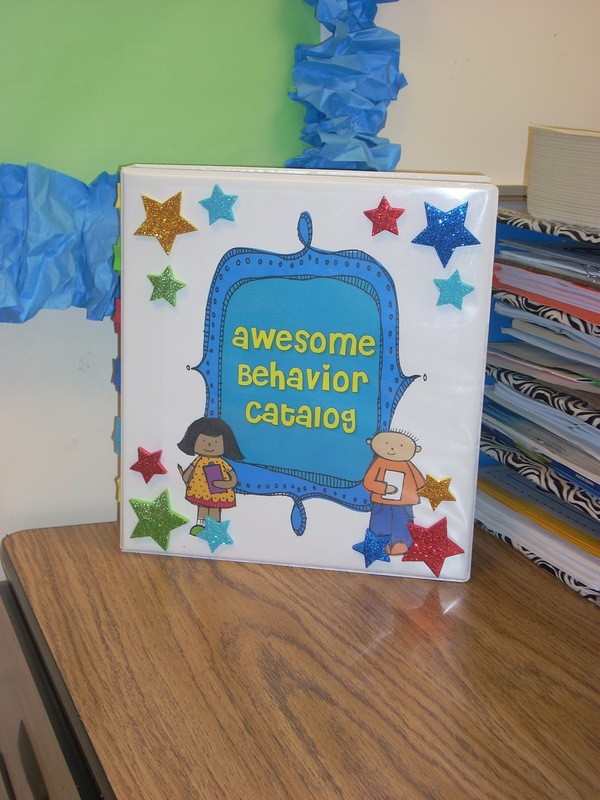 Low enough for kids to reach all the shelves and also for me to see into the library from my guided reading table. A dear kindergarten friend shared the palm tree base with me that she had stored away from VBS years ago. My mom and I whipped up a lovely little palm tree, following Deanna Jump's directions for the one she has in her room. 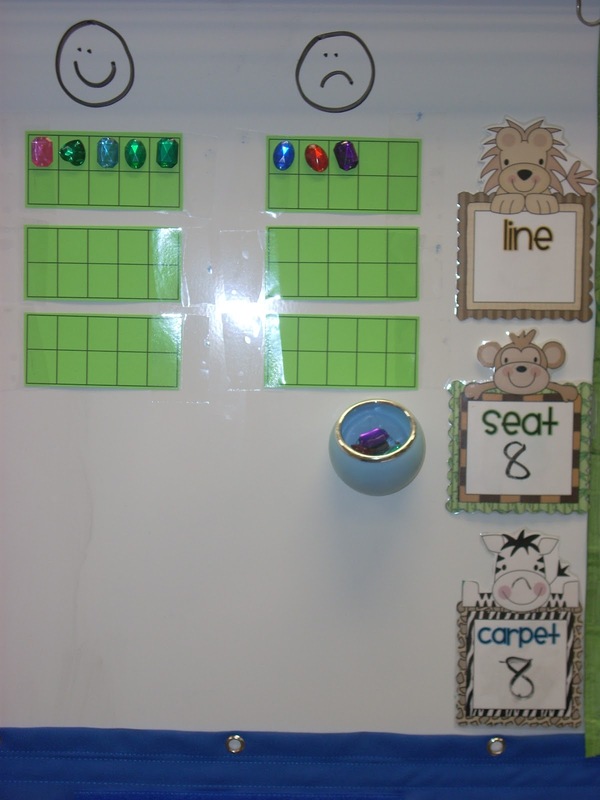 Calendar are & math station board (currently empty). Mr. Alligator moves around with a magnet for our class voice level chart. Whole Brain Teaching...enough said!! My scoreboard. I'm using the tens frame (can't ever get enough practice) along with jewels from the craft store. The line, seat, & carpet signs are to track how quickly & quietly we transition. They love beating their time! My first grade next door neighbor, Sarah, has the cutest cooking theme in her room. I'm going to have to get more pics. 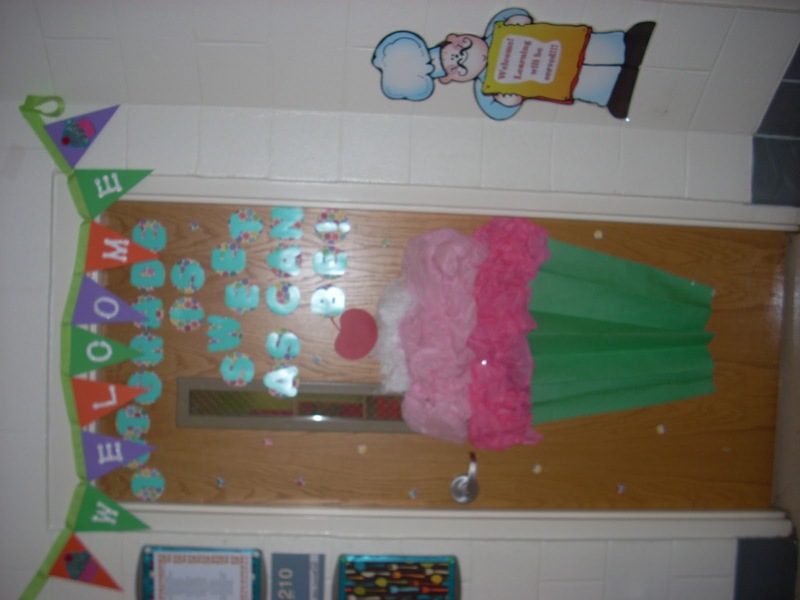 Here's her adorable cupcake door! 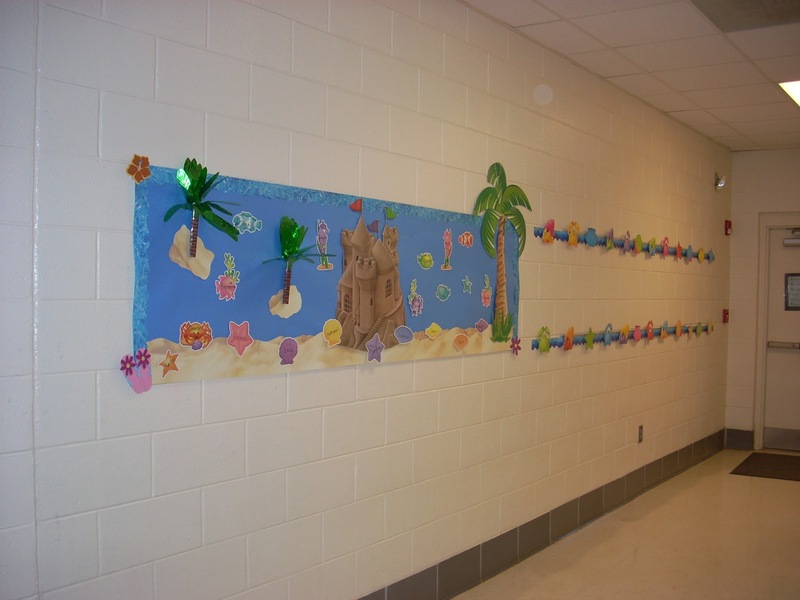 Another first grade neighbor & her tropical/beachy board! 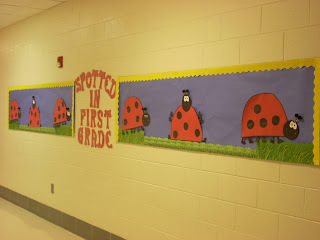 Love the ladybugs from another first grade friend! 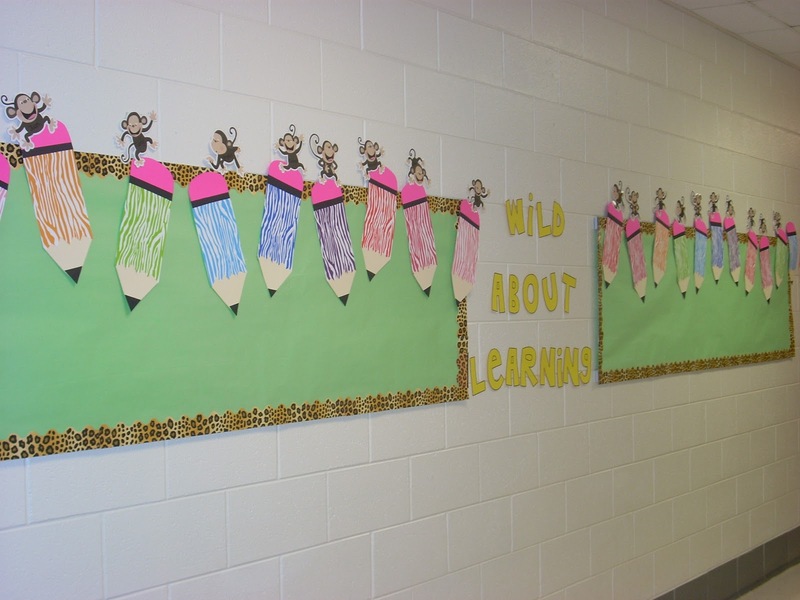 Zebra print pencils & monkeys outside my door. Work to come soon under the pencils. That's my home away from home in a nutshell. 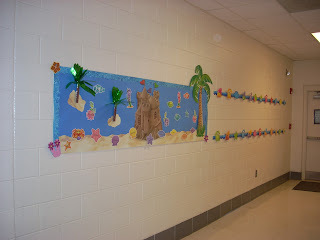 Loved looking at these pictures. Gave me some great ideas, although I wish I knew your sweet Mamma. Tell her the chair covers are darling! 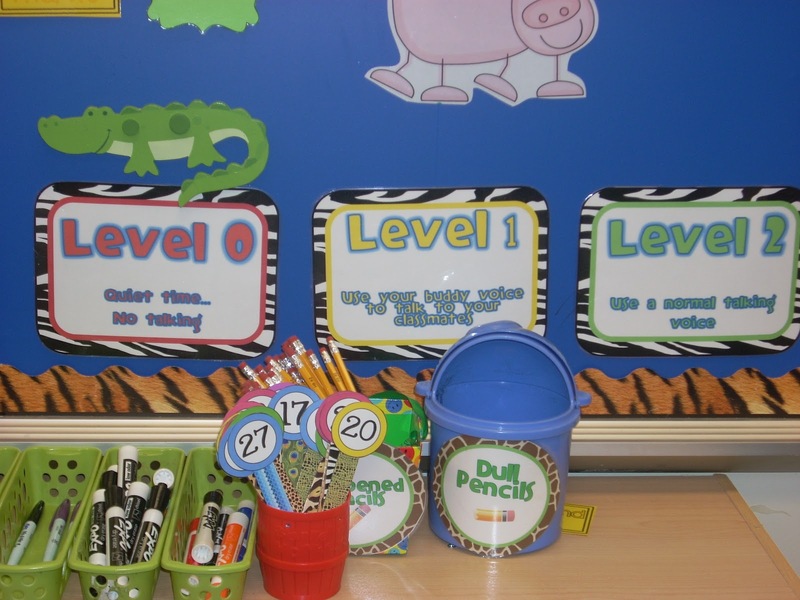 Loved all the little accents of zebra print on the dividers. 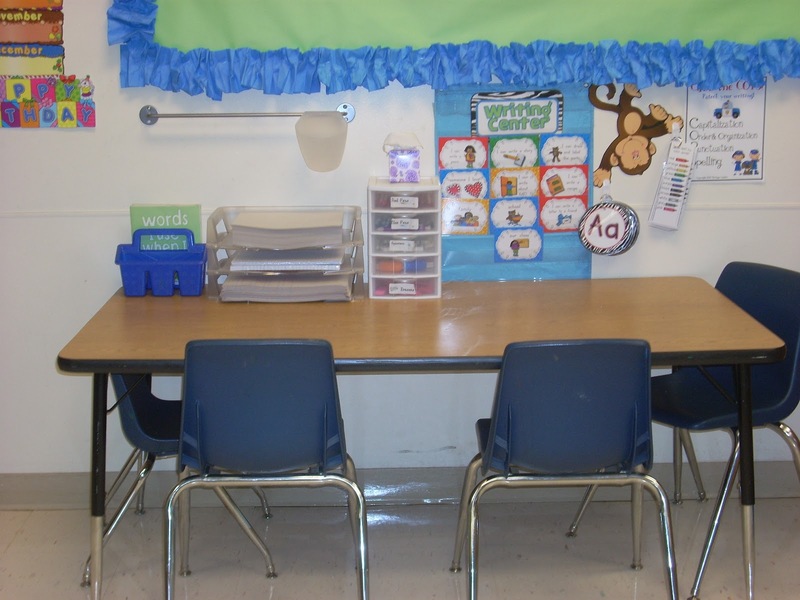 Do you have center signs for sale on TPT? Wow, I love your colour scheme, everything looks amazing. 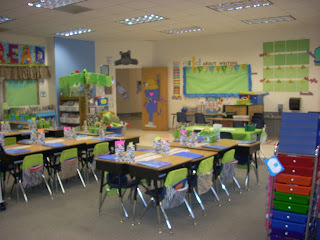 I am still *patiently* waiting to get back into my classroom to get it ready to go. 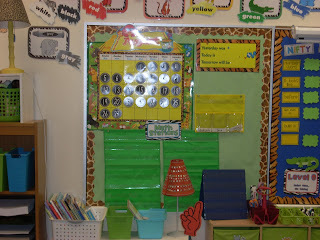 Anyways, I am trying whole brain teaching this year, and I LOVE your hundred chart idea for the scoreboard. BRILLIANT!! I thought I was in love with my room, but I think I like yours even better! So many cute little ideas that add so much personality. 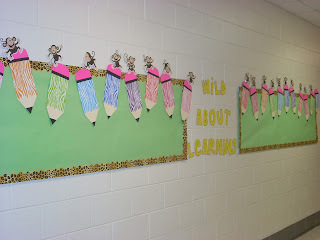 Thanks for the great ideas!! I agree, the chair covers are sooooo cute. Did your mum use a pattern or is she beyond that? I would love to give these a go! Do you have something covering your ceiling lights? Does your mom make the skirts to sell? 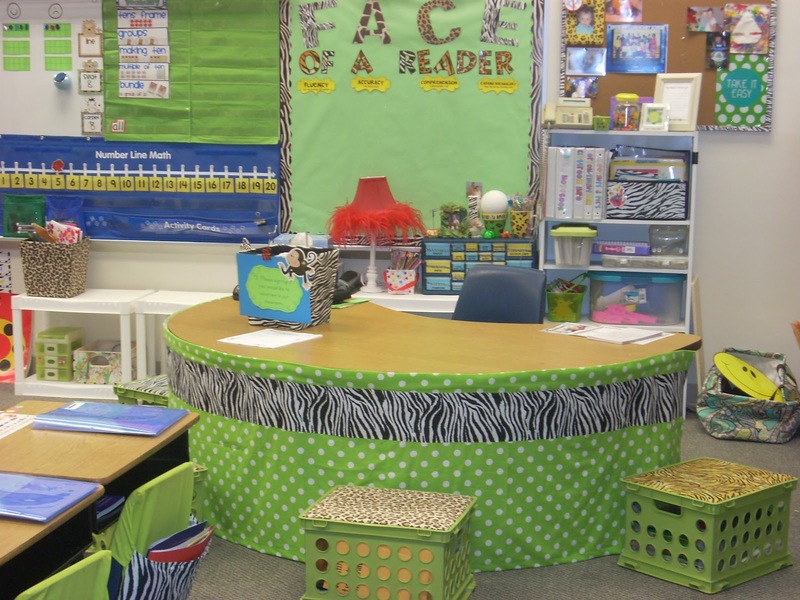 I would love one for my classroom.